GripSox is the world's leading form of independently clinically trialled non-slip grip socks and in only a short period of time has quickly established itself as an internationally recognised brand and a leader in falls prevention. 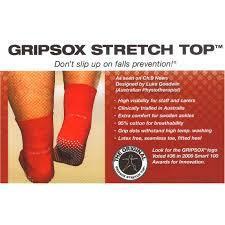 GripSox have been used world wide by more than 200 physiotherapy, pilates and yoga studios and over 150 hospitals and aged care residences for falls prevention. 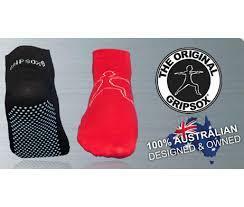 Socks are available in longer soft top style or sports ankle style, see below for sizing.